Glitz and Glam @ The 86th Academy Awards! The Academy Awards (or more commonly called The Oscars) is a time-honoured event that pays tribute to actors and actresses that have made significant achievements in the film industry, by way of their talent and acting skills. The awards ceremony was first televised in 1929 (yes, all the way back then!) and is now viewed across the globe by millions of people in over 200 countries. All else aside, The Oscars is also the best occasion to put on your latest dress and flaunt it to the delights of the paparazzi! Normally, we have a slew of ladies (and men of course) who walk up the red carpet decked in the newest designs, and the 2014 Academy Awards was no exception. Being in the fashion industry, I’m always interested to see what events such as these have to offer, and I’m especially a sucker for pale/white dresses! This year round, we have sweethearts like Kate Hudson in a stunning Versace piece, Naomi Watts showcasing a Calvin Klein, and many more gorgeous ladies walking about in absolutely stunning gowns. Kate Hudson – daringly divine! Cate Blanchett looking simply demure in an Armani Prive. Lady Gaga looking all glam and elegant! Dresses like these always inspire me to dash over to the drawing board and start sketching out patterns for my gowns! It also helps that some of the gowns worn by the celebrities during the star-studded event look exactly like something you’d wear to as a bridal number, to weddings, or gala events. To browse through more of these creations, you can drop by here and have a closer look. 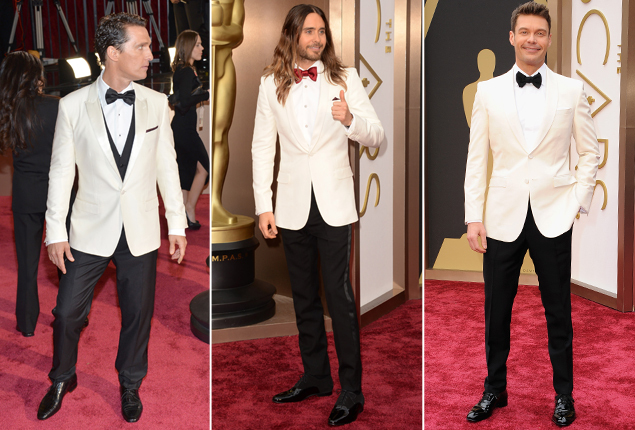 The guys looked really dashing in pale hues as well! 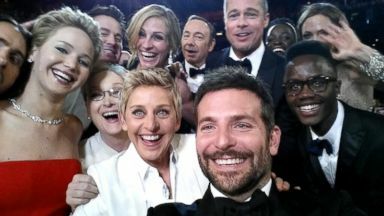 Another interesting item of note would be the widely Twitted selfie taken by Ellen Degeneres, which captured the public’s eye and made its way around the social media networks like wildfire. And now it’s back to the sketch pad!